The UA Alumni Association serves more than 290,000 former UA students, creating a community for Wildcats to remain connected to their alma mater and to each other. UA alumni give back to their communities in 50 U.S. states and in more than 150 countries. 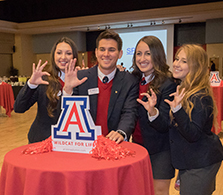 The UAAA fosters alumni connections and is the gateway to the UA through resources such as alumni chapters and clubs, communications, travel, membership and special events. An active and engaged alumni community committed to advancing the University of Arizona. We will be a university leader recognized for our alumni relations expertise and collaborative efforts, known by alumni as their primary gateway for connecting to the university, and distinguished for our quality programs and ability to engage alumni through tradition and innovation. • The Alumni Association provides the infrastructure for alumni to actively participate in the life of the University, whether serving as mentors, advocates, recruiters or volunteers. 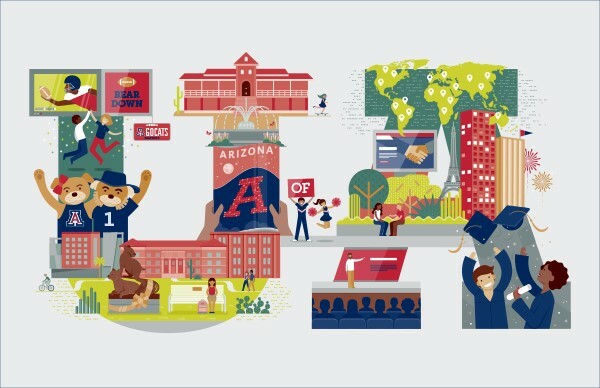 • Arizona Alumni Magazine, the official publication of the UA Alumni Association, is distributed to 205,000 alumni households on an annual basis. • We oversee the events and activities of more than 40 alumni chapters and clubs across the country. • UA alumni have access to the Alumni Career Lab, including an online career network, virtual career fairs, career webinars and career assistance resources. • UA alumni participate in a variety of UA Alumni Association-sponsored events including Homecoming, reunions, and national and international networking events. 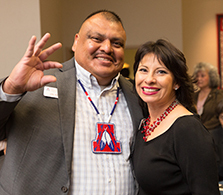 • The Alumni Association supports advocacy efforts that keep the UA foremost in the minds of Arizona and federal legislators. • The Alumni Association’s programs support UA colleges and the UA Foundation’s outreach and development efforts. • Our satellite office in Phoenix provides a focal point for the ever-increasing importance of UA outreach efforts in Maricopa County. • We support service and leadership to students beginning with their first moments on campus, including sponsorship of Bobcats Senior Honorary and the Student Alumni Ambassadors; and involvement in Summer Sendoffs, convocation and commencement. • We award more than $1 million in scholarships to UA students every year. Thank you for staying connected to the University of Arizona. The Alumni Association appreciates your support. 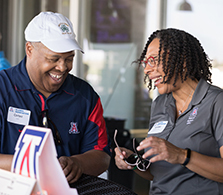 Whether you attend events, follow us on social media or read the Arizona Alumni Magazine, your dedication to your alma mater strengthens the Wildcat community around the world.